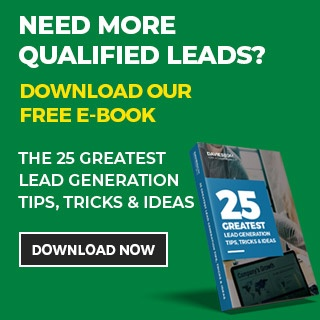 Leads are the lifeblood of most businesses. And it's no secret that LinkedIn can be a good place for B2B salespeople to find prospects and clients that we all need to grow business, reach our targets and achieve our goals. You don’t have to get a paid version of LinkedIn to access powerful search capabilities, but most people don’t use the LinkedIn Free search capabilities to their optimum. This is simply about finding the right people to connect with in the shortest amount of time. Free Search on LinkedIn is simple to use and easy to understand once you know what’s there and how you should use it. Top Level Nav Filters let you explore People, Jobs, Content, Companies, Groups and Schools. You can also explore further under each of these categories. For example, the 'People' filter allows you to refine your search by Location, Connections and Current Companies. If you’ve refined your search using the Top Level Nav filters, you can go a level further and click on the 'All Filters' button. You’ll see the 'All Filters' search at the side of 'the big three'. You can in fact go straight to this 'All Filters' page to create a refined search. 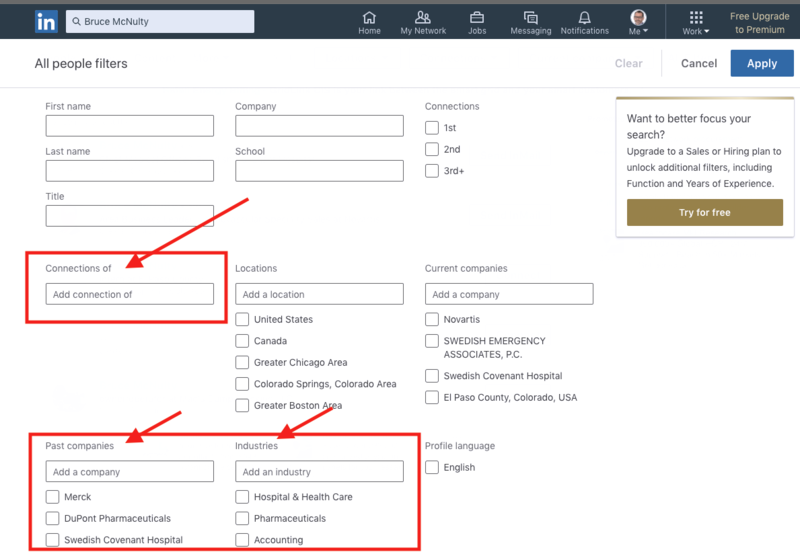 I typically use the 'All Filters' page to refine my search by 1) Industry, 2) Past Companies (where a target prospect has worked) and 3) Connections of. If you're a B2B salesperson, a great way to grow your network is by creating filters for 2nd connections and then seeking a warm introduction from your mutual connection, or even reaching out to these connections yourself letting them know you’ve got a shared connection. This will greatly increase your chances of making a fruitful connection. Use the LinkedIn Search box for basic searches. If you are looking for a connection's name to quickly skim their profile, just type in their first and last name (if known) eg, 'Will Robinson' and see what comes up. The search operators can be used with 3 key Boolean operators AND, OR, and NOT. "Boolean search is a type of search allowing users to combine keywords with operators (or modifiers) such as AND, NOT and OR to further produce more relevant results. For example, a Boolean search could be "hotel" AND "New York". This would limit the search results to only those documents containing the two keywords." - Webopedia. If you follow this process and start using LinkedIn filters you’ll be connecting with more of the right people in less time, which means better networks and the prospect of more business in a shorter amount of time. B2B salespeople - give it a go and let me know your thoughts on the different LinkedIn Free searches. And enjoy better prospecting with LinkedIn.